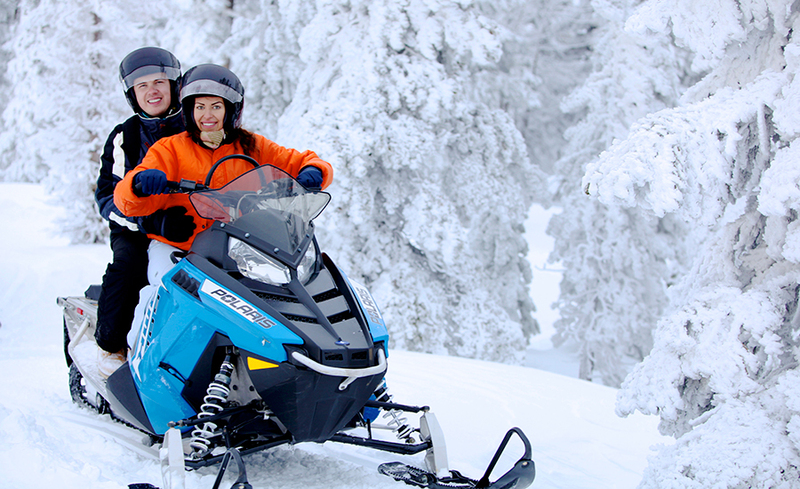 Snowmobiling is a unique combination of speed, adventure and unforgettable scenery. Best of all? No experience is necessary and you can even share a ride by getting a double-rider touring machine. Priceless! After five dry years the Sierras finally got some amazing snowfall, which made Lake Tahoe a Must Go destination over the holidays. Although the season is almost over, the snow might stay around as late as March or April, which means you still have a chance to experience the best of the cold in Tahoe. If you are looking for a fun way to enjoy the snow but don’t feel like taking on the Black Diamond ski run, here are five things that will make your stay in winter Tahoe unforgettable. There are plenty of companies that offer snowmobile rentals by the hour in Tahoe. Most of them charge an arm and a leg for riding a snowmobile in a sardine-sized circle on flat grounds. Not much fun. Our research landed us at the Zephyr Cove Snowmobile center, a rental company known to be one of the largest in the states. Their fleet features over 90 newest Yamaha and Ski-Doo snowmobiles that are incredibly powerful, comfortable, easy to navigate, and most importantly, safe to ride. 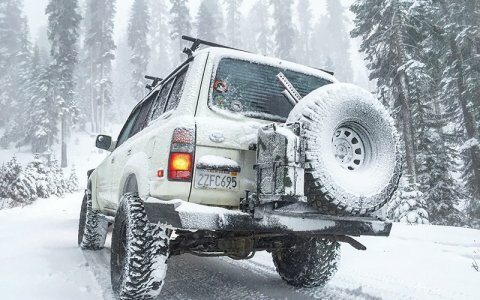 There is also no need to bring any snow gear. Snow boots, jackets, gloves, and open faced helmets are available for rent at the location. Once fully equipped, you are taken up the mountains on a 20 minute bus ride. The shuttle drops you off at the starting point stationed approximately 7,000 above sea level. There, you are briefed on how to use the vehicle, assigned a guide, and unleashed into the wilderness on your own snowmobile. You get to discover the virgin beauty of a winter wonderland riding over 45 miles of perfectly groomed trails. Once you climb another 2,000 feet, the snow covered aspens and pine trees make room for an open terrace that overlooks Lake Tahoe from the top. The silver shimmering lake lays at your fingertips surrounded by towering mountain peaks covered with snow. 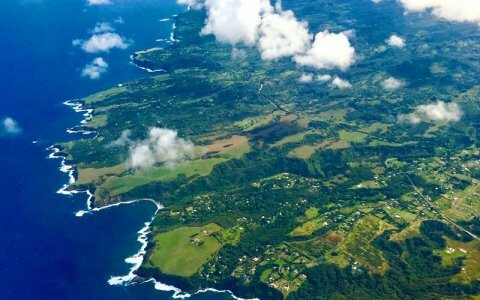 It’s a breathtaking view that makes you feel like you are standing on top of the world, an unforgettable experience! Experienced tour guides will make sure you ride in confidence and comfort. Double-riders can switch during the tour so if two people ride, both get a chance behind the wheel. 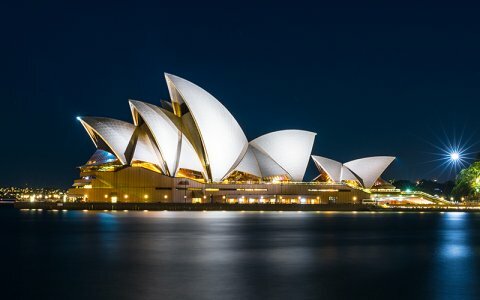 The tours vary in intensity and range from slow-paced rides for parents with children, to extremes for those who love speed and are looking for an adrenaline rush. Romantics and adventurists will love moonlight tours offered after dark. The snowmobile center is located on HWY 50 at the Zephyr Cove Lodge. Prior reservations are highly recommended. Winter doesn’t get more Russian than this – a sleigh ride pulled by horses through pine trees deeply covered with snow. A local family revived this old Russian tradition and made it one of the most popular attractions in South Lake Tahoe. The Borges family business offers rides in huge custom made sleighs pulled by pure-breed Belgian Draft horses. The rides go through scenic winter trials with a great view of snowy meadows, mountain peaks, and the lake. This family operated business started years ago with a small pony the parents gave to their kids for Christmas. The children attached a small sleigh to the horse and started giving rides to their friends. The miniature sleigh rides looked like so much fun that the owner of a nearby hotel made them an offer, to provide rides to his hotel guests in return for a small compensation. This is how an ancient Russian tradition was re-invented in the heart of South Lake Tahoe. Today, 50 years later, the company owns 10 giant custom made sleighs and 14 stunning Belgian Draft horses. 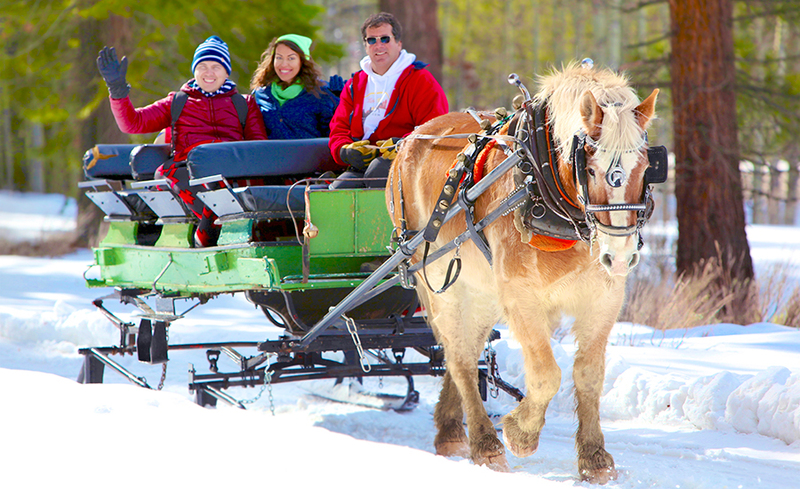 You can reserve a private sleigh ride for two or hop onto a bigger sleigh that fits up to 20 people and bring along the whole family. The rides are conveniently located next to the state line casinos within a short walking distance from the parking lot of the Montebleu Hotel. A reservation is highly recommended as the rides fill up quickly. It is not as fast and dangerous as slope skiing, which makes it a perfect starting point for those who are not ready for the black diamond run. In fact, cross country skiing is a great way to get started if you have no experience whatsoever. For those looking for a more active and engaging way to enjoy the great outdoors, cross country skiing is a perfect fit. We recommend checking out Tahoe Cross Country Ski Education Association located on the north shore in Tahoe City. The association monitors 65 kilometers of daily groomed trails that wind through the mesmerizing Ponderosa Pines, breathtaking snow covered meadows, and summits that open on spectacular views of the lake and surrounding mountains. There are a total of 21 different trails separated by each level of difficulty. They range from flat easy glides to sturdy hills with mean slopes. All trails are marked with clearly visible signs so it’s hard to get lost if you have a trail map. There are also three warming huts along the way, providing a warm place for a free hot chocolate or tea break. The association offers free maps and private or group ski lessons for kids and adults. One private lesson with a skiing instructor could be enough to get you up and running even if you have never skied before. They also rent full snow gear and top notch skiing equipment. Since TCCSEA is a non-profit organization, all lessons and rentals are very reasonably priced. Cross country skiing is an extremely popular activity for families and kids. 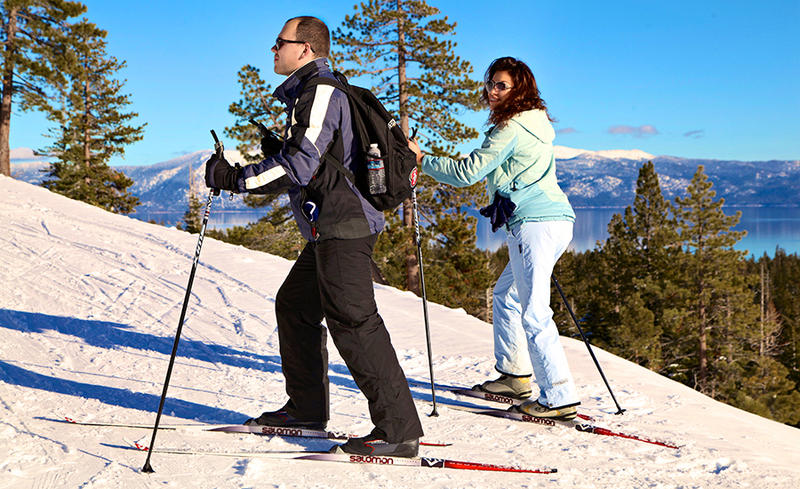 It’s a fun, affordable, and healthy way to enjoy the fascinating scenery of the winter Sierras. Besides, a few hours of exercise in the snow gives you the perfect excuse to indulge in a tasty meal at many nearby local food joints. North Tahoe is famous for those. What can be a better way to start your day than with a perfect up of coffee and a breakfast plate worth getting out of bed for? If you are in South Lake Tahoe for a day, you might want to give Starbucks and IHOP a break and try a local favorite breakfast spot called A Cup of Cherries. It’s a family owned café that serves some amazing coffee drinks and a unique breakfast menu you won’t be able to find anywhere else. This place popped on the radar of local coffee fanatics because of the incredibly smooth, balanced, and kicking espresso drinks they serve. Their Island Lattes, Mexican Mochas, cappuccinos, and freshly brewed coffees got the café lots of faithful regulars. But wait, A Cup of Cherries will get you going with more than just a good cup of coffee. The restaurant offers a fascinating fusion menu which puts a spin on breakfast classics like egg sandwiches, pancakes, crapes, and omelets. The menu is inspired by popular recipes from all around the world, personally collected and adopted to Californian style by the co-owners, Adolfo Monreal, his sister Maria Proctor, and her husband John. Some of the absolute customers’ favorites include Hawaiian Island Pancakes, Japanese Tamagoyaki Omelette, Spanish Omelet Quesadilla, and the Bad Boy breakfast sandwich. We tried all four and were amazed of how the texture and taste of the ingredients came together in each dish. 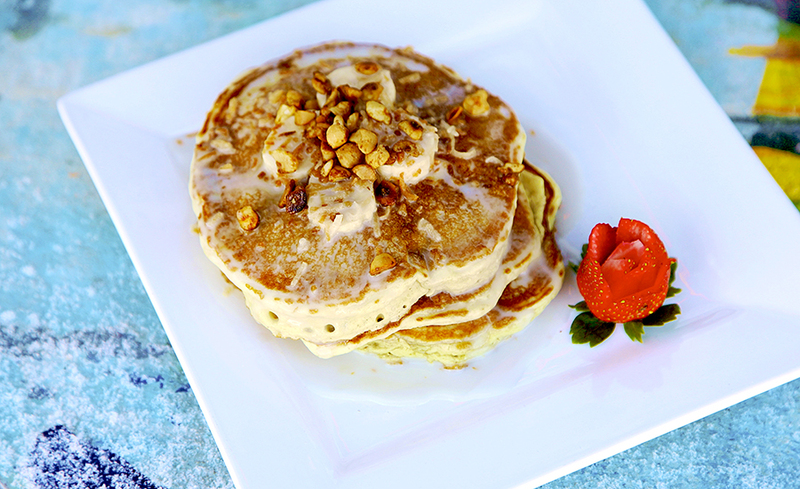 The crunchiness of the maple glazed macadamia nuts perfectly complemented the fluffy and moist texture of Banana Island Pancakes finished with lightly sweet house-made coconut syrup. The subtle hint of sriracha sauce mixes with gooey melted Havarti cheese added a kick to the Japanese Tamagoyaki, which looked like a giant sushi roll and tasted like an out-of-this world omelet. The Omelette Quesadilla was perfect for taking with us on a five hour cross-country skiing tour. All items are cooked from scratch using fresh local ingredients with no pre-made boxed batter mixtures, shortenings, lard or margarine used in cooking. Adolfo, being a huge coffee fanatic himself, personally selects the coffee blends they buy form a local coffee roasters company. This, and lots of love the owners put into their coffee house, just might be the reason why A Cup of Cherries gets a line of regulars every morning. A few hours out in the snow and it feels like you are ready to swallow a cow. There is nothing better than grabbing a good meal after you spend a day in a freezing cold. Our recommendation for a dinner restaurant is conveniently located in the same place as the snowmobile rentals. It is called the Restaurant at the Lodge and it feels like a real log cabin lost in the woods. Decorated with wooden logs, hardwood floors, and a huge burning fireplace, the restaurant creates a perfect ambiance for cozy romantic dining. 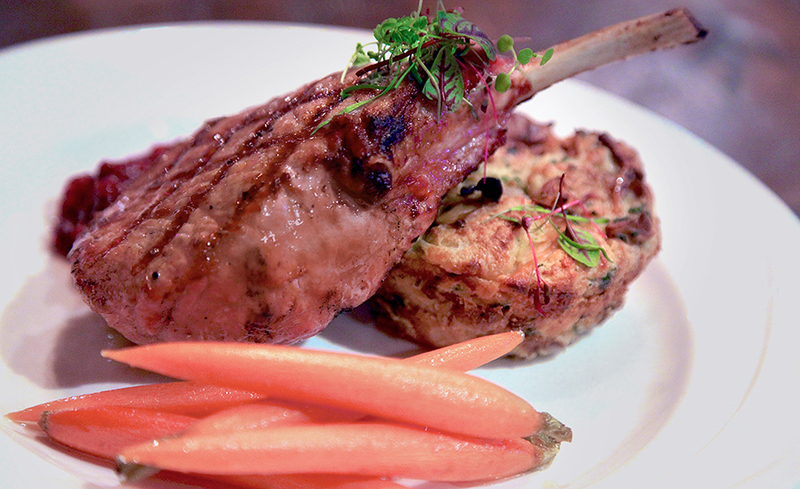 According to the executive chef, Jeremy Acuna, they serve American food with a twist. You can certainly feel “the twist” in every bite. The menu is made of popular items but there is nothing simple about the way they are prepared or served. Hungry after two and a half hours of snowmobiling, we started with two appetizers, an antipasto and baked brie. Both dishes took us by surprise. The antipasto featured a trio of homemade sausages with duck truffle salami, cured chorizo, and delicately sliced prosciutto. The second appetizer was so good we almost had to fight over the last piece. It was a whole wheel of brie cheese baked and served on a hot cast iron skillet. This melted goodness was covered with a hint of locally made orange blossom honey and pieces of crunchy pecan bits. A divine combination of flavor and texture! For the main course we shared pork chops, grilled salmon salad, and pan seared Idaho trout. The chops came with wild mushroom bread pudding, pistachio cranberry chutney, and baby carrots. The meat cooked to perfection had a golden crust on the outside and was tender and juicy inside. It paired perfectly with the bittersweet cranberry sauce. As to the wild mushroom pudding, this unusual side note elevated the dish to that of a classy French restaurant. The trout also deserves a mention, with its perfectly seared, white flaky meat served over a bed of wild mushroom risotto and Sauvignon Blanc creamy white sauce. It was so good we cleaned the plate. And just when we thought we were stuffed, they served the dessert. It was a warm cobbler made from fresh apples, pears, and blueberries, topped with a scoop of melting vanilla ice cream and finished with a hint of Grand Marnier liquor. Another great twist on American comfort food. The Lodge is a great option to enjoy fancy dining in a casual, laid back, purely Tahoe atmosphere.